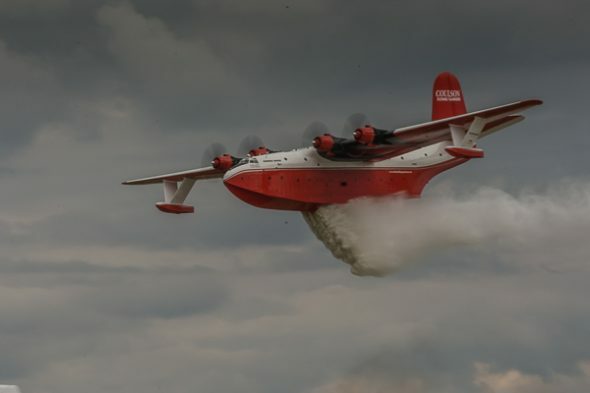 One sad occurrence at Air Venture this year was damage sustained by the Martin Mars Water Bomber during an emergency water landing made because of a bird strike to one of their engines. 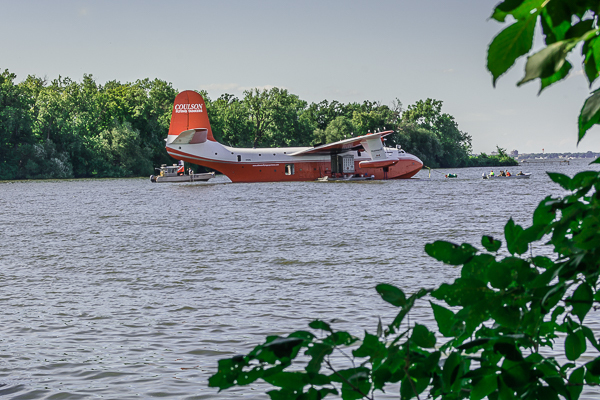 We got to see them demo a water bomb run during the airshow but when we next saw the bomber, it was moored at the Seaplane base with bilge pumps fiercely competing in the contest to expel the water seeping in through a crack in the hull. Love this post. You two are having such a great time. Thanks for sharing your ventures with us. Love you too – thanks for keeping an eye on us. We can’t wait to see everyone!